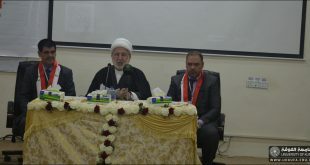 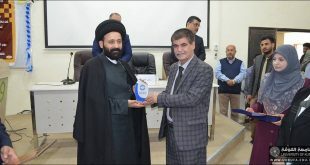 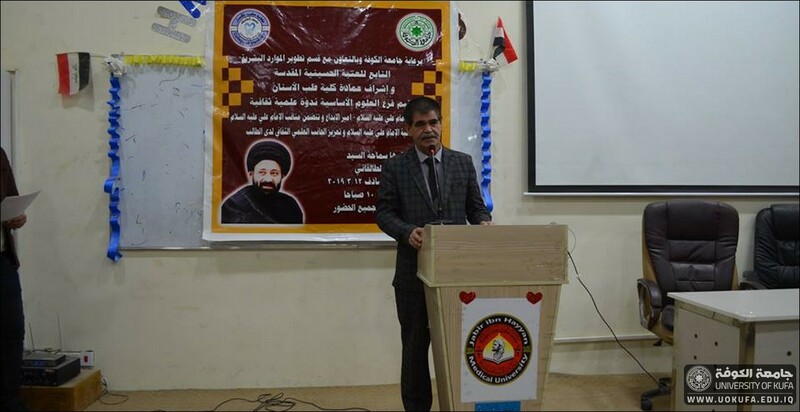 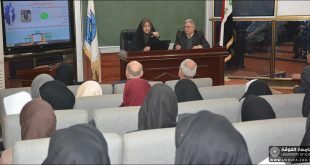 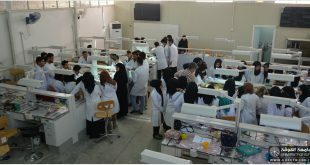 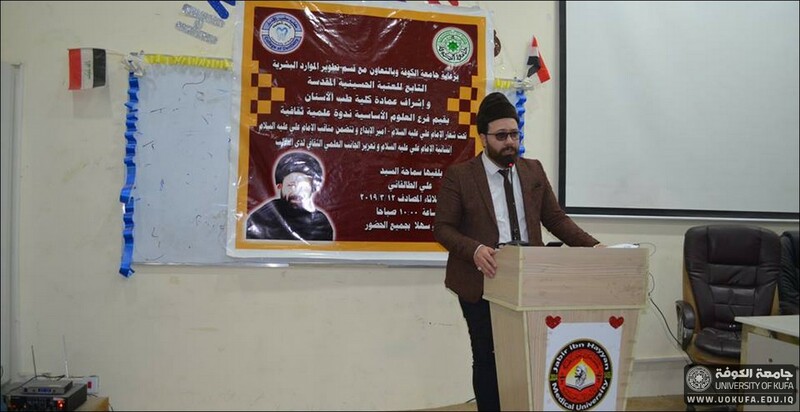 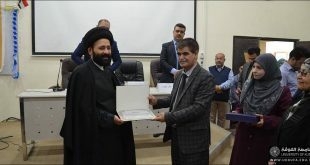 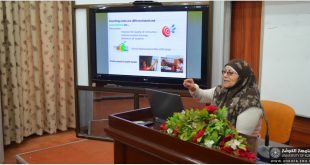 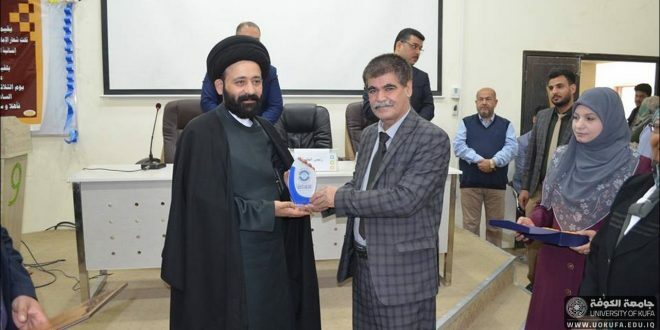 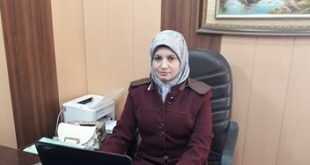 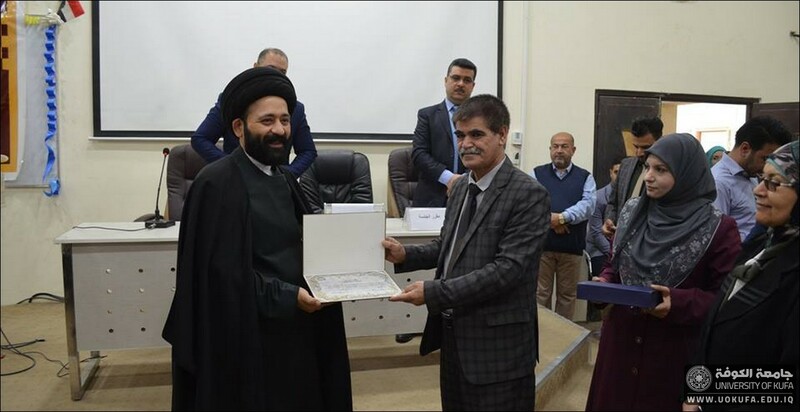 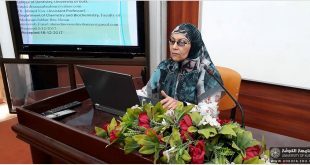 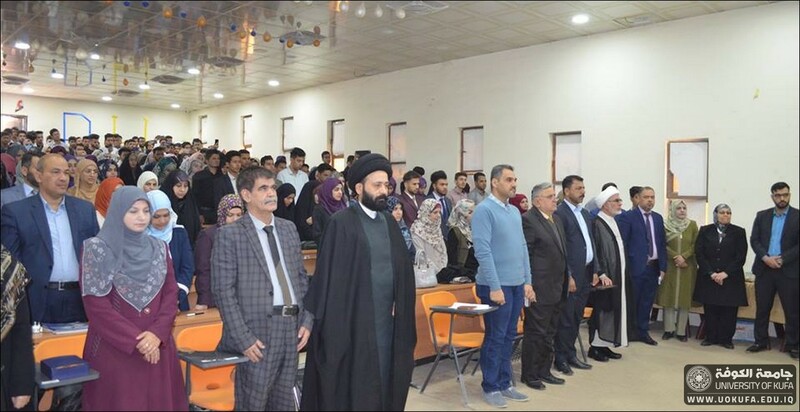 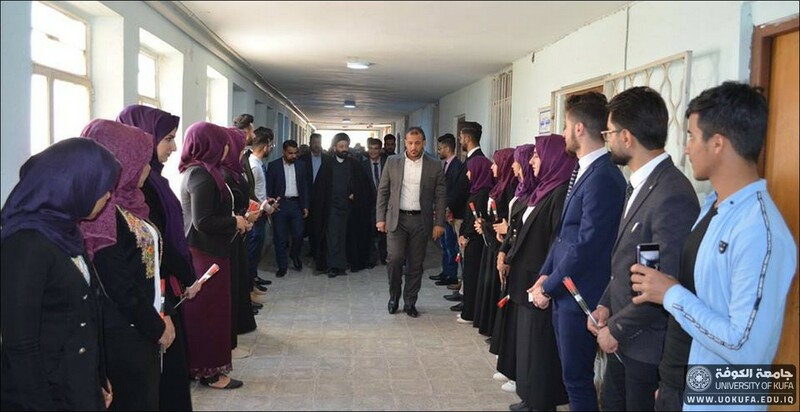 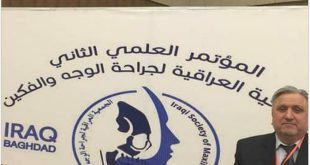 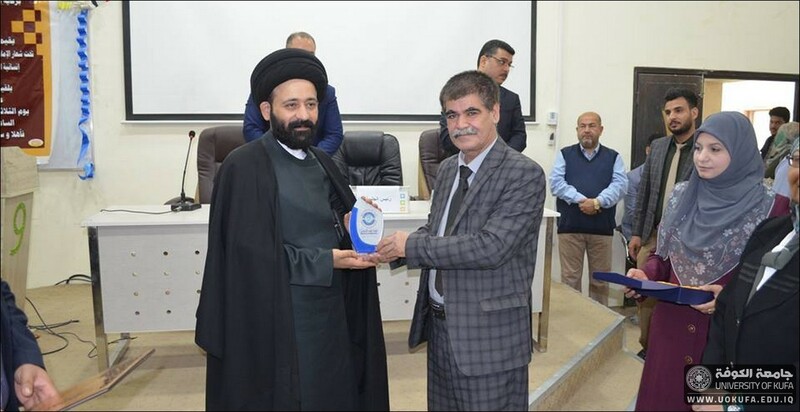 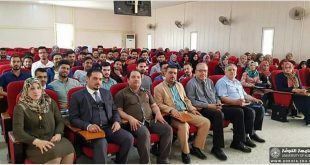 The Basic Sciences Branch, under the supervision of the Deanship of the Faculty of Dentistry held a cultural dialogue seminar under the slogan “Imam Ali (Amir) of creativity” on Tuesday, 12/3/2019 and at Al_Safeer Hall where the lectures were presented by Islamic researcher Mr. Ali Talaqani / Ataba Husseiniya and Assistant Professor Dr. Hassan Karim Majid Faculty of Jurisprudence . 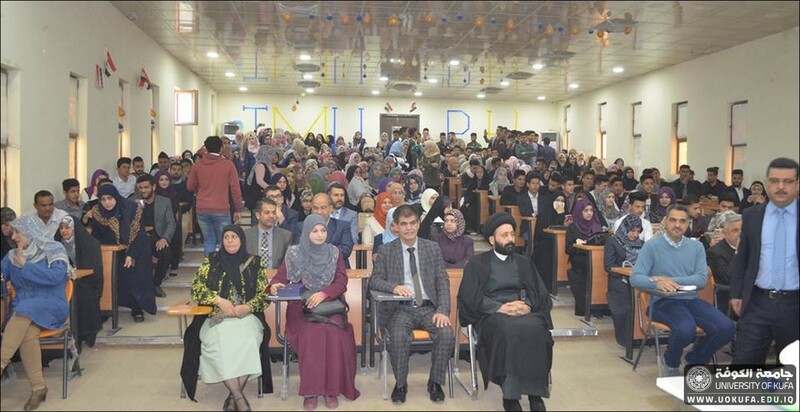 And a large gathering of students and teachers of our college and students of Jaber bin Hayyan University. 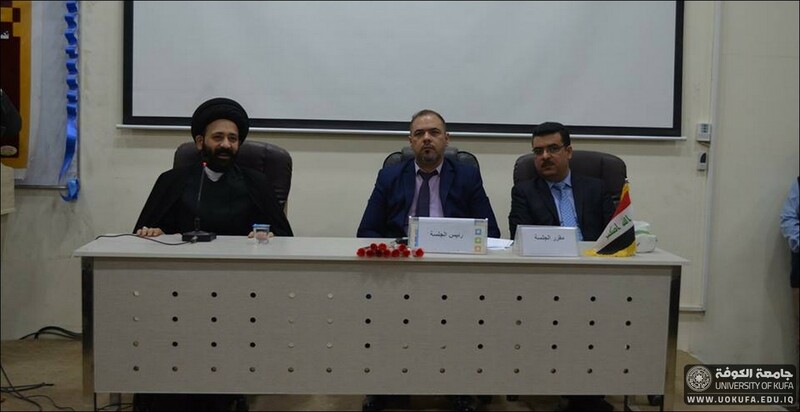 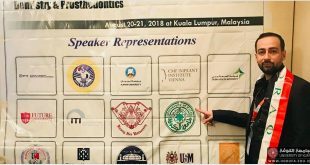 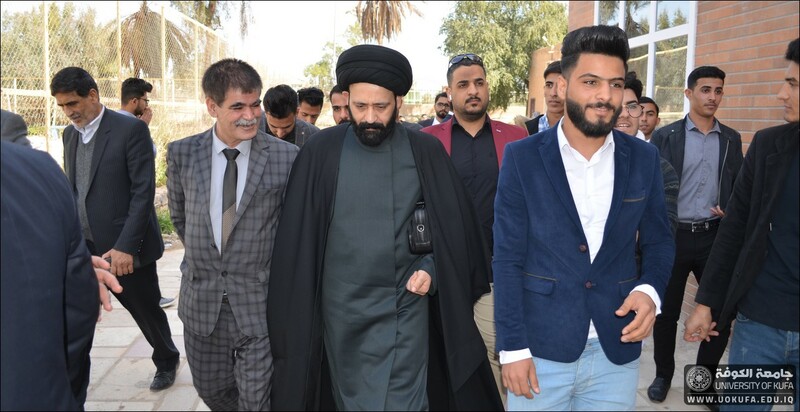 The symposium included Imam Ali’s virtues, his humanity, and the enhancement of the student’s scientific and cultural aspect. 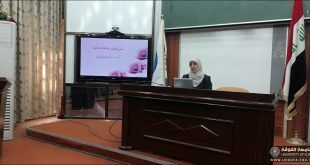 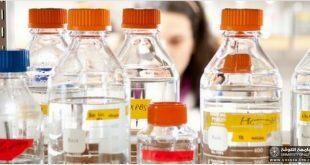 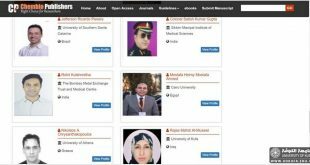 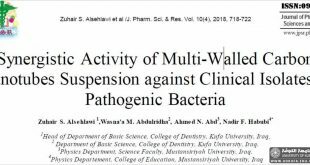 The seminar was an effective seminar on the student’s culture and resulted in recommendations on the scientific and ethical aspects.